Mahajan turns 76 next month. Her rivals are nervous; Satyanarayan Sattan, an aide of hers, has also openly opposed ticket to her. 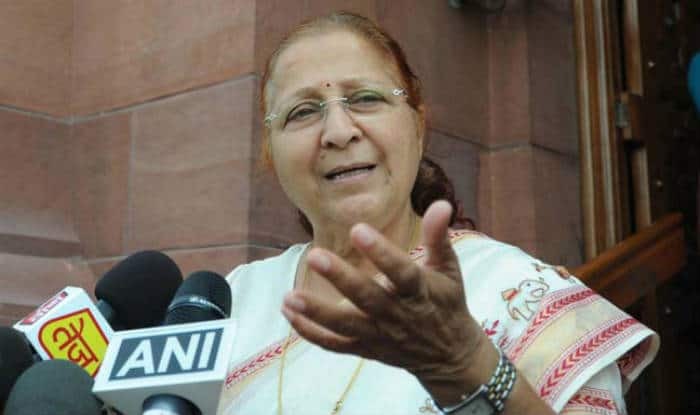 Bhopal: She is an eight-time winner from Indore and yet outgoing Speaker of Lok Sabha Sumitra Mahajan finds herself out in the cold with the BJP yet to decide on its candidate from the constituency. The seat goes to polls on May 19, so there’s still time. Interestingly, a report points out that even the Congress hasn’t named its candidate yet. Mahajan will turn 76 next month, making her ineligible for the party which restricts contesting past the age of 75. While there is uncertainty over her candidature, Mahajan reportedly skipped Sunday’s event for the telecast of PM Modi’s ‘Main Bhi Chowkidar’ event. Reportedly, she has yet not prefixed ‘Chowkidar’ to her name on Twitter. In 2014, Mahajan pulled off a stunning victory the margin as big as 4.66 lakh votes, said a daily. With this win, Mahajan also set a country-wide record of winning from the same constituency, same party. Sources claim Mahajan’s clout has left rivals like Kailash Vijayvargiya nervous. She has also been opposed by senior BJP leader Satyanarayan Sattan but Mahajan said he was a senior leader who supported her when no one was at her side in 2009. “He was my election coordinator then. I will not make any comment on him,” she added. With her elevation as the Lok Sabha Speaker, her stature has obviously grown and she has come across as a vocal, controversial Speaker. However, speculations over her candidature this time started again when the state unit chief said recently that “The party will take her consent before taking any decision”, something that was said about seniors like L K Advani and M M Joshi. A leading daily quoted Indore-based BJP leader Govind Malu as saying that was works in Mahajan’s favour is that she is non-controversial, had not faced even one corruption charge and Indore had indeed developed a lot under her. Meanwhile, a Congress leader claimed the party had never put up a strong candidate against her. He said in case the BJP chose to repeat that if the BJP fields her again, the Congress may put up Pankaj Sanghvi, a BJP-turned-Congress leader.